Most people use their mobile phones as a multi-purpose device, specifically for a wide variety of things that they need for both personal and business use. Based on the user and their personal preferences, people can even stream movies and other things to watch on a regular basis. Meaning these devices will also hold a lot of media files. iPad is an ideal device for watching movies, so , you just wonder how to transfer the video files you downloaded on your Android to your iPad. 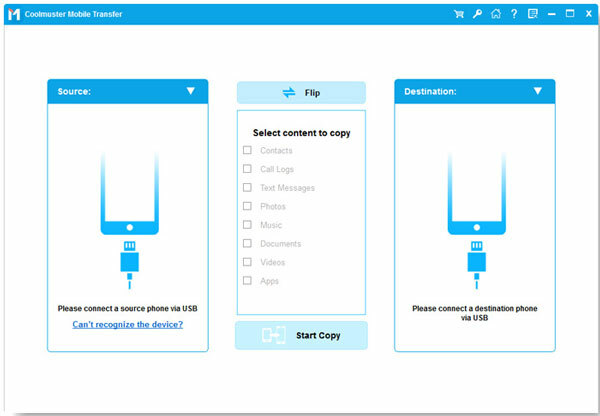 * Makes it easy to transfer photos, contacts, SMS, videos, music, apps, etc. from two devices. * It also supports overall Android, iOS and Symbian devices. 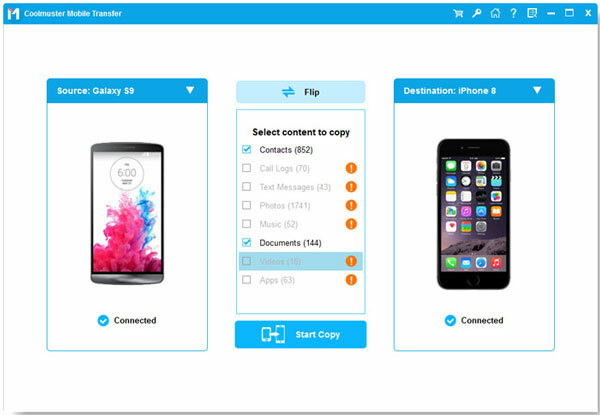 * Enables you to backup phone data on computer, and restore data from computer to phone with 1 click. Android: Samsung, HTC, LG, Sony, Motorola, ZTE, Huawei, Google Nexus, Lenovo, etc. You can download the Mobile Transfer for free to have a try and proceed to the steps. How to Transfer Android Videos to iPad Pro/Air/mini/4/3/2? Install and launch the Mobile Transfer software after you downloaded on your computer. The primary interface comes out and you should choose "Phone to Phone Transfer" mode and click "Start". Use Android and Apple USB cables to connect both your Android phone or tablet and iPad to the computer. Then, the two devices will be recognized by the program and displayed on the interface side by side. All the files that can be moved between the two devices are well categorized here. You can select the "Videos" category and then click the transferring icon in the middle to start the videos transfer between Android and iPad.